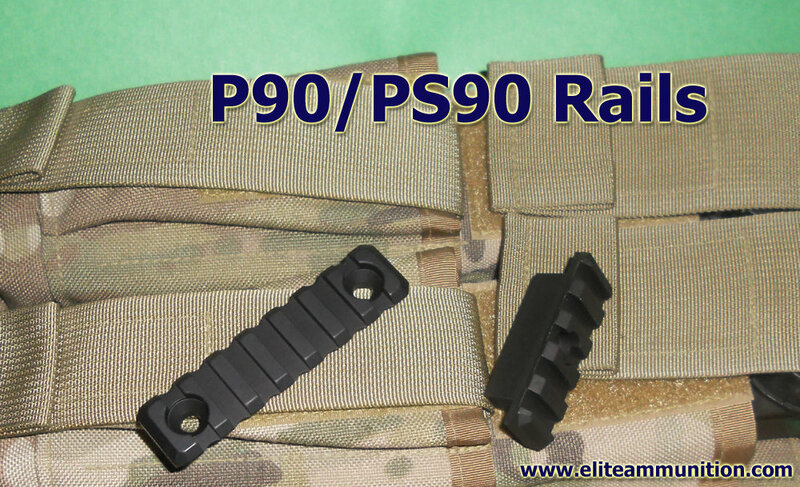 5 -Slot Side Mount Accessory Rail or 7-Slot Side Mount Accessory Rail for FNH PS-90. for FNH PS-90. Precision machined from 6061 T6 Aluminum alloy billet, with Mil-A-8625 Type III Class 2 Hardcoat Anodized finish. Rail features an extended offset to allow the use of accessories with wider mounting bases such as the EoTech and other optics. Rail is ambidextrous and will attach to either side of the PS90TR receiver using the existing threaded holes. 7-Slot Side Mount Accessory Rail has a relief cut to clear small raised area to the rear mounting hole on the left side, for flush mount on left side of upper.